* Total number of reviews and star-ratings are based on data collected during the time period R.A. Hoy Heating & Air Conditioning has been using the ReviewBuzz system and may not directly match the data found on each public review site. Sean not only fixed the heating but reduced my previous Pearl (4 month old kitten) from a very high position in the backyard tree. He is my hero!!! We couldn't be more please with R.A. Hoy. Marcey (made the appointment) and Robert (service) were both courteous, efficient, knowledgeable, and solved the problem quickly. We hope that in return, visitors to our OBX area are courteous to those that service our OBX needs. Each time I have had to use your company, I have NEVER had any problem with scheduling or technicians. Thank you for ALL years of service. Sean was excellent. He gave us lots of ideas and solutions to several problems which we have had over the years. Jimmy G was the best, very professional and knew his trade. Thank you so much for getting us back up and running. Also had RA Hoy come the preceding week for another issue and my renters commented to me how professional that gentleman was, sorry didn't get his name. Thank you so much for your years of service to us. Gray has always given me excellent service. He listens to what you need him to check or repair. I needed an AC drainage pipe moved so that it would drain away from the wooden decking. He spent some time looking at options and then came up with the best. He is pleasant and trustworthy as well. Been a satisfied customer since 1999. Had semi annual service last week with Bob Bargamin, tech. He is courteous, efficient, and professional, a real asset for RA Hoy! My HVAC system was inspected today by David D. I observed the entire process and was impressed with David’s thorough attention to detail. He was happy to answer my questions and explain what he checking for. I was pleased with his performance to ensure my system is operating efficiently over the summer season. Thanks David. Hope to see you in November for my next inspection. Jeff, my Service Technician, is awesome! He is professional; knowledgeable; thorough; reliable and friendly. Jeff has a terrific work ethic! 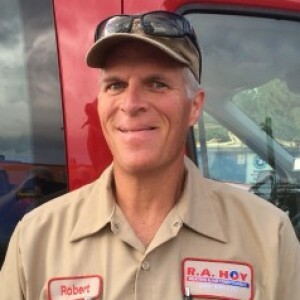 R.A. Hoy provides great customer service and responds in a more than timely manner. Best in their business! 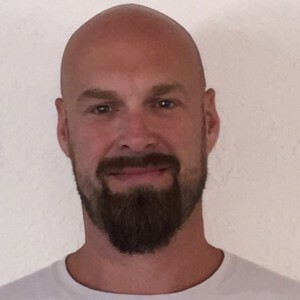 We have been with R.A.Hoy for approximately 5 years and are extremely pleased. We love how Marcey handles any problems we may have. We are so happy with Jeff to solve any problems we may have with our units and never complains about having to drive in the 4 wheel drive !! Love the response time and special efforts to make sure that we got our system operating. Mr. Byrd stayed longer than needed and made sure the unit was not going to “act-up” again. He was extremely professional and open with his knowledge, explaining how the system worked and provided recommendations for an upgrade. His polite attitude and confident skills put everyone at ease, and saved the weekend!!! Thanks again so much. Great experience with Jeff W. Of RA Hoy. 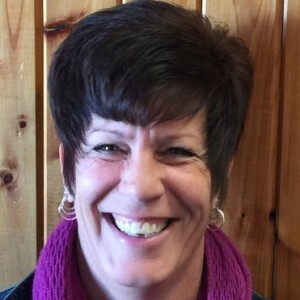 Personable, helpful and awesome to deal with! 5 Stars for sure!! Jim was right on time. Very professional, personable, and was well received by Jesi, my Boston Terrier. Got the job done in an expeditious manner and the AC runs great...and hopefully this fine technician can keep it that way for years to come. Well done. 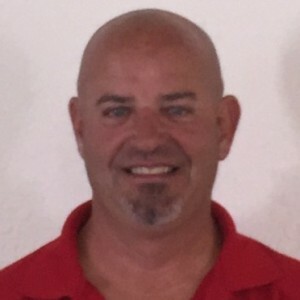 David D was efficient,professional & courteous....great work! Very pleased with prompt and efficient service in time of crises as well as maintenance of system! 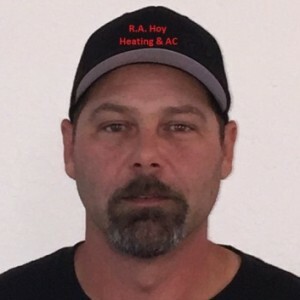 R.A. Hoy Heating Air Conditioning Team . Customer service is always a top priority at R.A. Hoy Heating & Air Conditioning. Our BBB Membership rating is like a badge of honor as we continuously strive to provide the best experience for our clients.